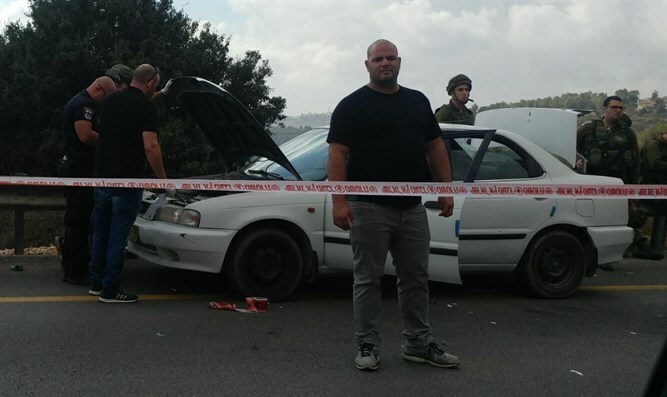 Palestinian Arab terrorist rams car into four soldiers, killing two and injuring two others. An IDF officer and a soldier were killed and two additional soldiers were injured in a car-ramming attack adjacent to Mevo Dotan in Samaria on Friday afternoon. The injured soldiers were taken to the hospital for medical treatment, said the IDF Spokesperson’s Unit. The Arab terrorist initially fled the scene but was later caught. The IDF said he was injured and was taken to the hospital. He is being questioned and IDF troops are searching the area. Yossi Dagan, head of the Shomron Regional Council, said, "We are strengthening the hands of the IDF and the security forces. Our hearts and the hearts of all of Israel are with the bereaved families."